Note: A minimum quantity of 92 must be ordered, and in units of 1 thereafter. 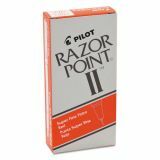 Pilot Razor Point II Stick Porous Point Marker Pen, 0.2mm, Red Ink & Barrel, Dozen - Marker Pens are designed to make the thinnest markings and provide long-lasting performance. Durable, plastic tip writes a superfine 0.3mm line, even through carbons. 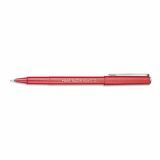 Plastic tip is supported by a metal collar and delivers delicate, smooth writing. 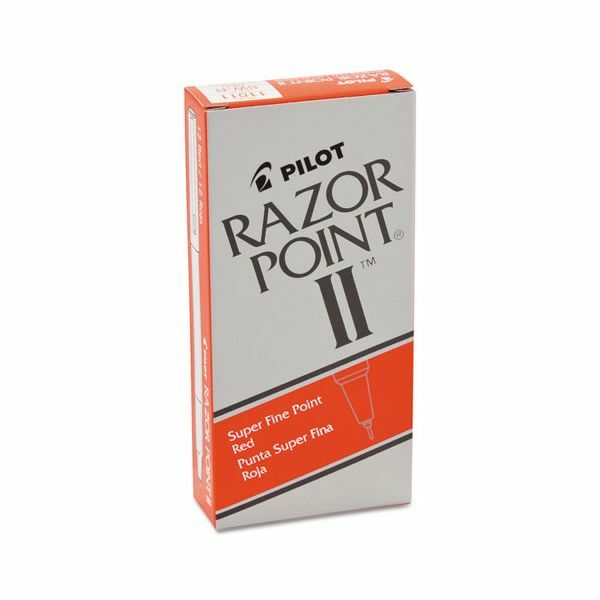 Razor Point II Marker Pens are not refillable.